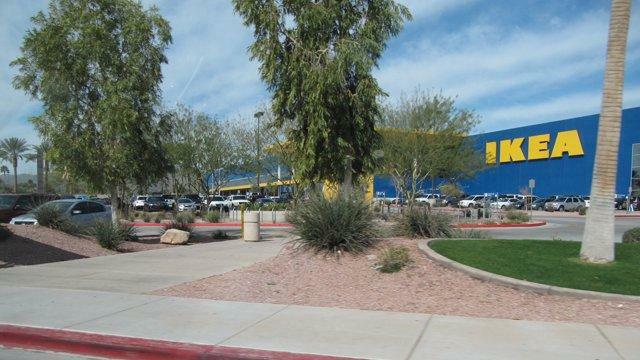 The IKEA store in Tempe, Arizona has two nursing mother rooms. The first located near the first floor lobby and the second near the upstairs restaurant. The nursing room features a comfortable chair, a baby changing table, free disposable diapers, and a toy box for older siblings who might be with the mom. Both are located in the Family Restrooms. The restroom is very nursing friendly and moms are not nursing next to a toilet as many other store family restrooms do. The nursing room is separate from the toilet area. The rooms are well lighted and have pictures on the wall. It isn’t quite like nursing at home, but the IKEA nursing rooms come much closer than most. Best of all, there is a door with a lock, so that you can have total privacy, and keep older kids contained.